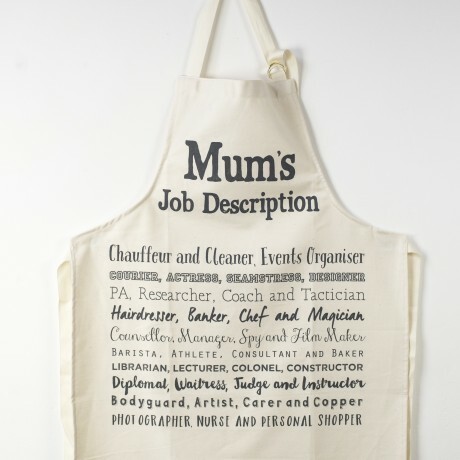 This cook's apron makes a unique gift for Mum for Christmas, birthdays or Mother's Day. The witty poem makes it a fun gift and Mum will love to wear this humourous statement of all the roles she plays in family life. 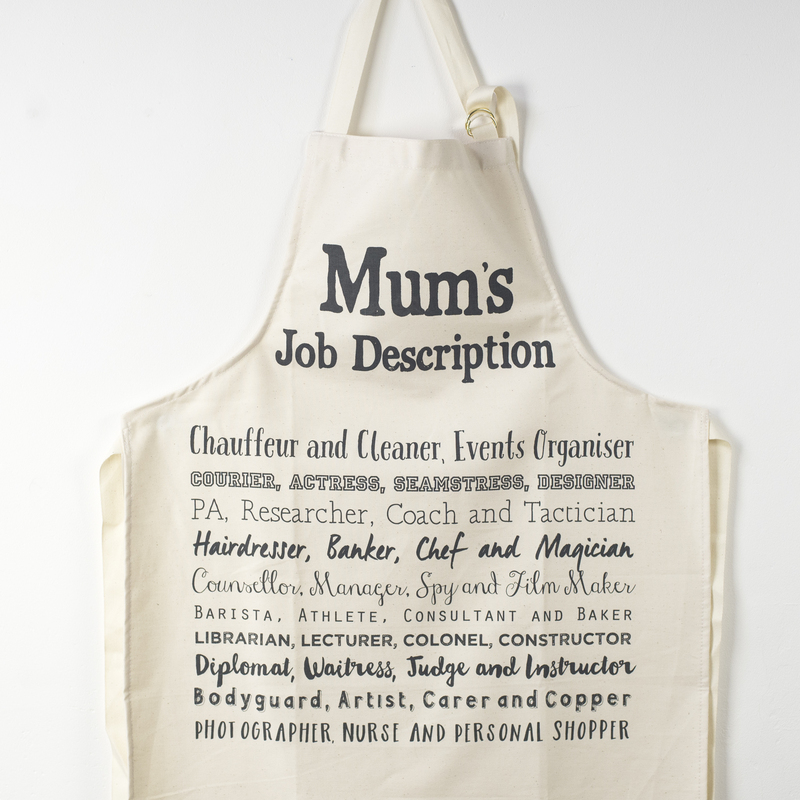 Although this 100% cotton apron is a useful gift, it is a great way to thank Mum for all she does and to say it with humour. In natural unbleached cotton, the wording is in a grey coloured font. The cook's apron ties at the back and the neck loop is adjustable. As with all products from Bespoke Verse they are designed and made in the UK. The wording of the poem is by Bespoke Verse poet Joanna Miller, and is subject to copyright.